Throughout this semester, I was lucky enough to be able to work with my mentor Rola Tibshirani. She is an amazing teacher in Ottawa, and she has taught me so much about using technology in the classroom. It was one thing to talk about technology in this course, and it was another thing seeing it firsthand in her classroom. I had a lot of opportunities to chat with her students, and learn how they would use certain apps in their class. Rola is so knowledgeable and she pushed me outside of my comfort zone when it came to technology. I signed up for this course thinking I was going to hate it because I knew very little about technology, but although it was frustrating at times, I absolutely loved it – and a lot of that had to do with how great Rola was. Check out our interview as well as her fantastic blog and Twitter account! During my mentorship, I had the opportunity to share information about Saskatchewan and Regina with Rola Tibshirani’s grade 5/6 class in Ottawa, Sk. They gave me a list of topics they were inquiring about, and I went from there. I made a PowerPoint and screen-shared it with them so they were able to see pictures and information on the slides. I learned so much about Saskatchewan that I didn’t even know before putting the slide together. The grade 5/6’s asked great questions, and a lot of the answers I didn’t know, so we tried to find the answers together. This just shows that teachers definitely do not know the answers to everything and it’s okay to say “I’m not too sure, but let’s find out together”. We are always learning from one another. 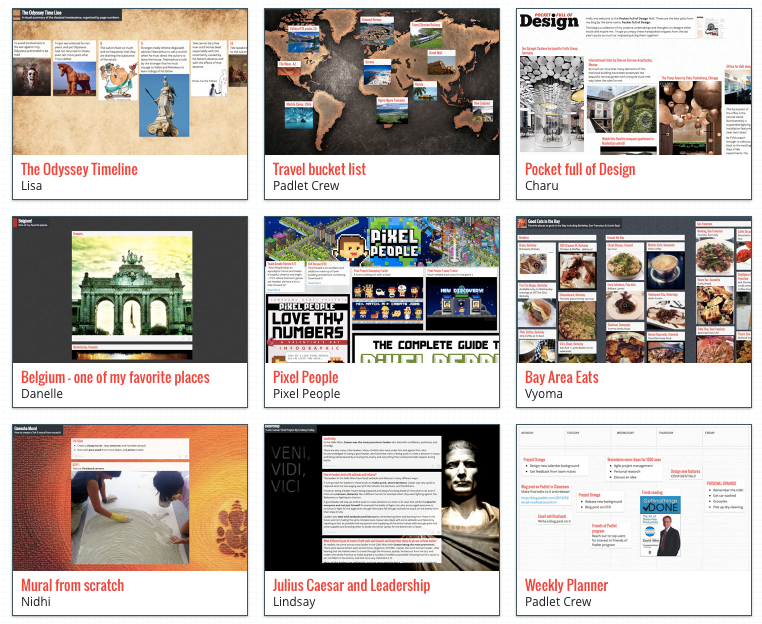 Padlet: This is a program where you can create a wall displaying essentially anything you want! You can make it into a timeline, a planner, a place to showcase your learning, or to simply display your favourite things. Click here to check out my wall! UJAM: I loved this site so much! I am a very musical person so it really resonated with me 🙂 I love to sing and play instruments such as piano and guitar. This is a program where you can create music, videos and remixes of already made songs. These are just two of so many different tools to bring into your classroom! If there are others that you enjoy, please feel free to share, or if you have used these in your classroom, how have you used them? 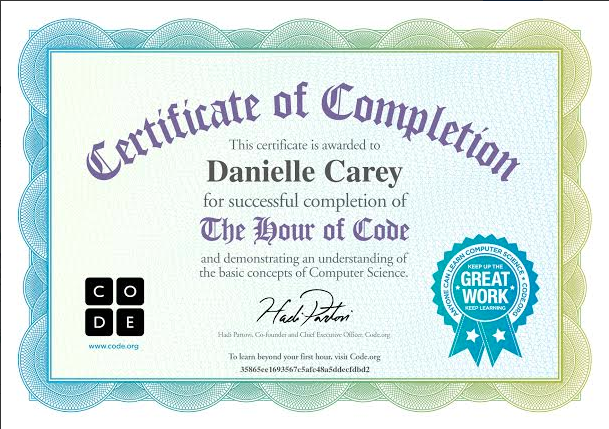 I chose to check out a tutorial on coding for beginners called The Hour of Code. To be completely honest, I had no idea what coding was before I started, so it was amazing how much I learned about it in only an hour! This program gives step by step directions to learn the basic concepts of computer science. 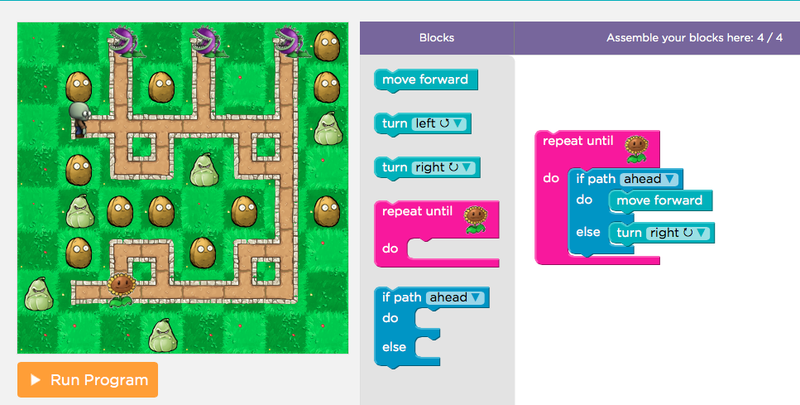 For those who want to learn more, or want to use it in the classroom, there is a 20 hour code curriculum that lets you master the basics of programming. Throughout the Hour of Code, I went through a set of 20 puzzles where I had to use certain codes to get to the end. After completing a number of puzzles, a video popped up and gave more instruction and clarity about what each of the codes meant. By looking at the picture below, you may feel overwhelmed and not even want to attempt trying it, but don’t feel that way – it’s surprisingly easy! It is set up like a maze, and you have to get to the end without getting eaten by the scary flowers using the different codes. The simple codes consisted of: “move forward” and “turn right or left”. The not so simple codes: were “repeat until” statements and “repeat X amount of times” statements. Lastly, near the end of the tutorial, I was taught how to use “if, then do this” statements, and “if pathways ahead, do this, or else” statements. This might sound like gibberish if you haven’t tried it, but I promise, it’s not as hard as it seems! Codes are the foundation of any app or program that you will ever create. Something that I found to be very interesting while I was searching the website, was that this program is available in 34 different languages, which would be perfect for ESL students. I think letting your students come up with their own codes and create a game or app is as rewarding as it is beneficial to their learning. I would personally use this in my own classroom, would you, and at what age level? I was so excited to hear what Alan Levine had to say about story telling and how important it is for our young children to be able to do. Stories can be told in so many different ways, so it is crucial that teachers display more than just the stories told in books. Incorporating First Nations content into the classroom through oral storytelling is one way, and another way is by telling stories digitally. There are numerous different apps and tools that you can browse through to see what best suits the story you want to tell. I went through the DS 106 website and tried a few of those ways of storytelling, but I found them to be quite confusing and the type of story I wanted to share was difficult to create using those assignments. I read a blog post that Kelly Koshinsky posted recently, and it really hit home for me. We were introduced to a man named Spencer West through a group presentation during our ESPY 400 class, and his story is so amazing. He has no legs, yet he climbed the highest mountain in Africa. If you haven’t had the chance to look him up, do it! Kelly posted a great video about him making an inspiration speech, and the part that resonated with me the most was when he said the part about not being afraid to ask for help – that it is not a sign of weakness, but rather a characteristic that makes for a strong leader. I have always had trouble asking for help because I didn’t want to seem weak. I wanted to be able to do everything on my own, but the reality is, nobody can go through life alone, for it makes for a very sad and lonely life. I just recently realized this during my internship. As teachers, we need to build strong support groups with one another where we can lean on each other when we need a little help. We can learn so much from one another. Once I began to ask for help, life got a little but easier, and a lot more enjoyable. 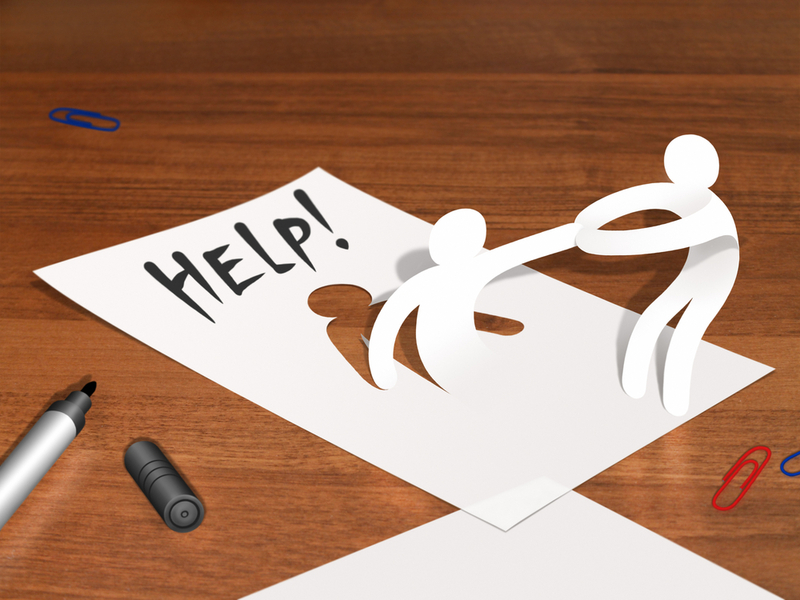 We need to empower our students to ask for help, because like me, there will be so many young people who think they should be able to do it alone. It doesn’t happen overnight, and at times I still struggle with it, but the more we do it, the more beneficial it is. Dean Shareski (@shar… on And That’s A Wrap! msdaniellecarey on And That’s A Wrap! Desirée on And That’s A Wrap!